April 15 – Six players have been banned from taking part in the U17 Africa Cup of Nations in Tanzania after failing MRI tests to determine their age and eligibility for the competition. The hosts kicked off the competition with a spectacular 4-5 defeat at the hands of Nigeria in the opening match of the junior competition, but the early stages of the event have been overshadowed by the Confederation of African Football (CAF) stopping six players from taking part in the tournament after failing MRI tests. The hosts had one player banned from the tournament, but Cameroon were the most affected team with three players, according to the BBC. FIFA has used MRI scans since 2009 to ensure players are eligible for youth competitions, but doubts remain over the accuracy of the test. Pre-competitions cardiac exam (PCCA) records were also used and consulted to determine the eligibility of players as CAF tried to clamp down on any form of age-cheating. 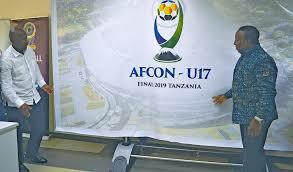 The tournament in Tanzania also serves as the qualification process for the U-17 World Cup. The best two teams from each group will automatically book their place at the tournament in Brazil later this year. In the other group A game Angola defeated Uganda 1-0. The tournament will conclude with the final on April 28 in Dar Es Salaam, host city for all the competition’s matches.